In Spring, Summer, and Fall, Vermontology provides 5-day, 4-night guided tours around the state of Vermont. 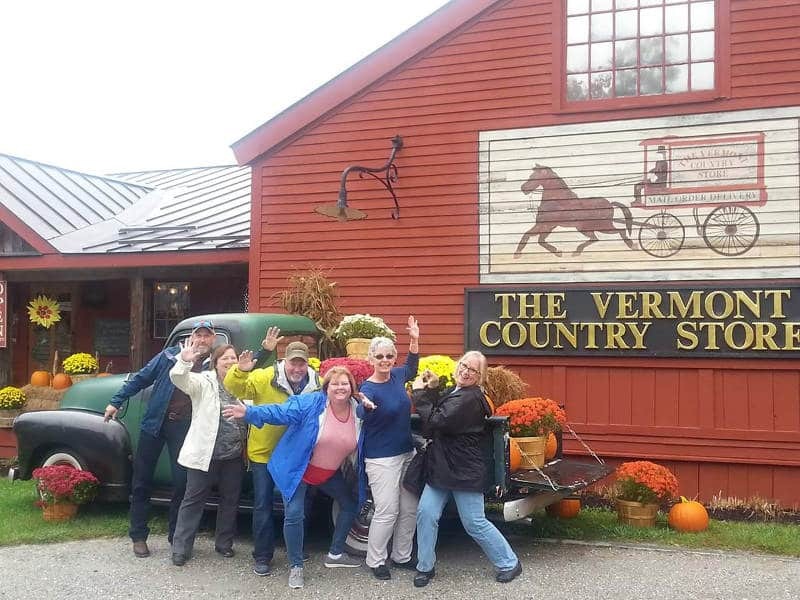 With a maximum of six customers per tour, our Vermont tours are an intimate experience that feels like traveling with a group of friends! Note: This tour begins at 9:00 AM sharp on Monday morning. For that reason, we ask that you arrive the day before and stay over Sunday night in Burlington. Our 5-Day tour begins with customer pick-up in Burlington (Monday at 9:00 AM) at your hotel. Our first day will be spent in Waterbury and Stowe, where we will visit a number of popular local attractions. Treat your taste buds at the Ben & Jerry’s Ice Cream Factory and Cold Hollow Cider Mill, witness the birth of hand-made glass products at the Ziemki glassblowing studio, then visit the historic Trapp Family Lodge — the same Von Trapp family that inspired The Sound of Music. (Lunch is available for purchase on site.) 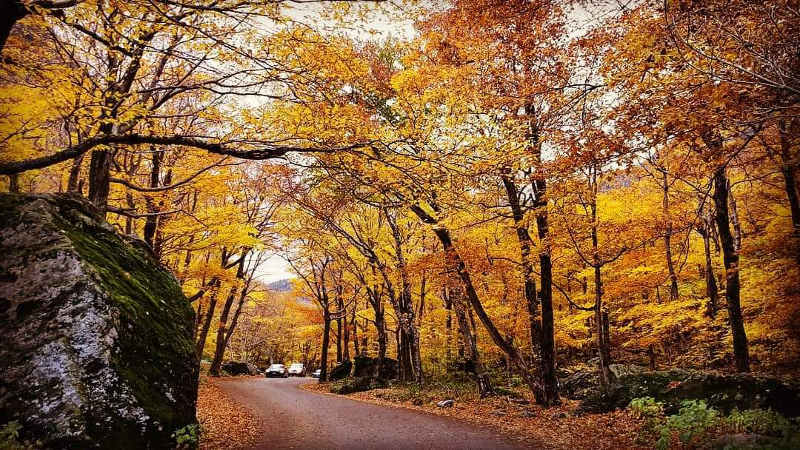 Our Vermont tours visit only the most interesting locations, such as a scenic drive to the top of Smugglers’ Notch State Park. 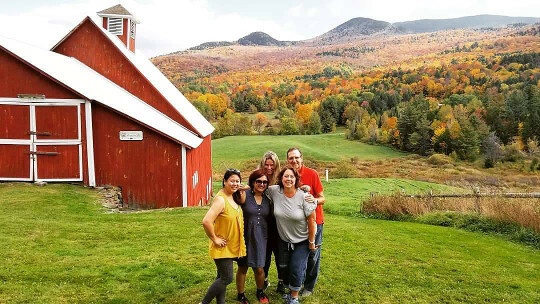 You will also have a chance to explore Stowe village, which is known for its scenic beauty, local Vermont shops, and the Vermont Ski and Snowboard Museum. We will finish this day by checking into the Casa Bella Inn, and enjoying a three-course Italian dinner prepared by chef Franco. Day 2 begins with a full breakfast at the Casa Bella Inn, followed by a drive to nearby historic Woodstock, Vermont. 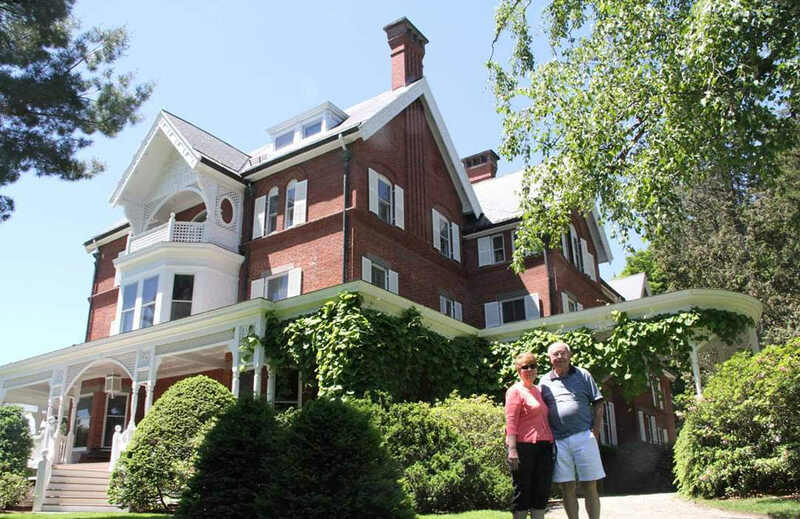 There we will learn about the area’s history with a tour of Rockefeller Mansion and the Billings Farm & Museum. A guided tour through Rockefeller Mansion will be lead by a ranger from the National Park Service. (This mansion is of historical significance, and also contains a large collection of Hudson River School paintings.) After that, we will watch a 30-minute film entitled “A Place in the Land”, which presents the Billings Farm and its three families, describing their farming, forestry, and sustainability practices (stewardship and conservation) for over 150 years. Lunch is available for purchase in downtown Woodstock, followed by free time to explore the local sites, such as art galleries, historical houses, and a covered bridge. 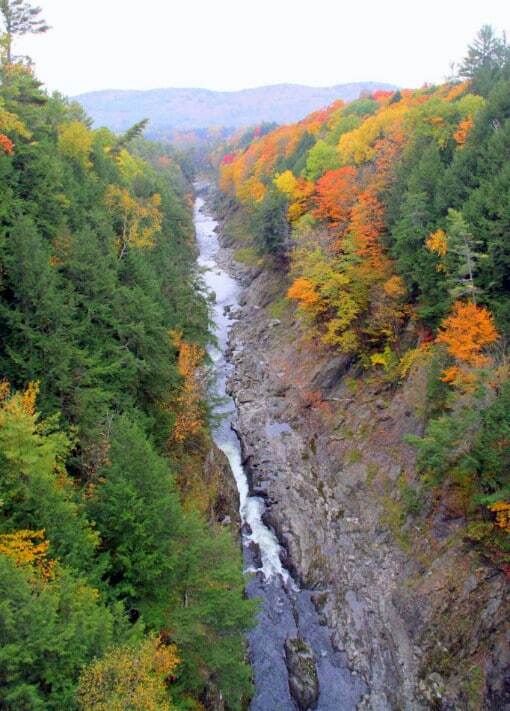 After that we will drive to nearby Quechee to visit the 165-foot deep Quechee Gorge (Vermont’s deepest glacial gorge), which formed some 13,000 years ago. The Quechee Antique Mall offers more opportunity for sampling locally made Vermont products, such as the Cabot Annex, where you can taste many different award-winning Vermont cheeses. Vermont furniture, jewelry, wine, spirits, and more are also available at this location. The day will conclude with a 3-course dinner back at the Casa Bella Inn. 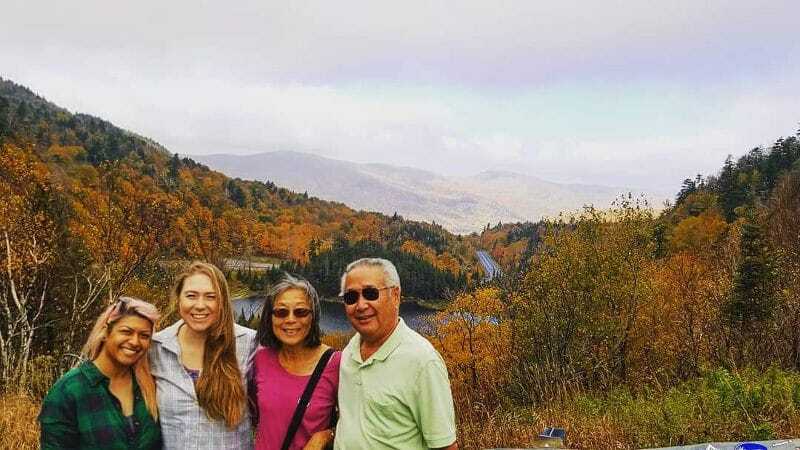 “We arrived a few days early to do some exploring in New Hampshire and Vermont and it was fun, however the tour that we went on with Natalia was far superior. Natalia’s knowledge about the country and its history were so welcomed. We learned fascinating facts . We saw beautiful sites that will remain in my memory for years to come. Her heart was to give us the best experience possible. She succeeded. Day 3 begins with a full breakfast at the Casa Bella Inn. We will spend the entire day driving VT RT 100 (one of the most scenic roads in Vermont). On this day, you will have the unique opportunity to visit the Calvin Coolidge Homestead, in historic Plymouth, Vermont. Plymouth has remained virtually unchanged since the early 1900’s, and occupies a unique place in US history: our 30th President was born there (1872), was sworn into office there (1923), and is buried there (1933). In this historic village, you will get the rare opportunity to tour the house in which he grew up, the general store, church, and a number of barns that display important antique farming tools. Just up the road you will find the Plymouth Cheese Factory, where you will have the chance to sample and purchase many fantastic locally made cheeses. (Plymouth Cheese Factory was established by the President’s father, and is one of the oldest operating cheese factories in the United States!) Lunch is available for purchase in Ludlow, as we make our way to Weston’s historic Vermont Country Store. The Vermont Country Store offers thousands of hard-to-find products. This day will conclude with a 3-course dinner back at the Casa Bella Inn. 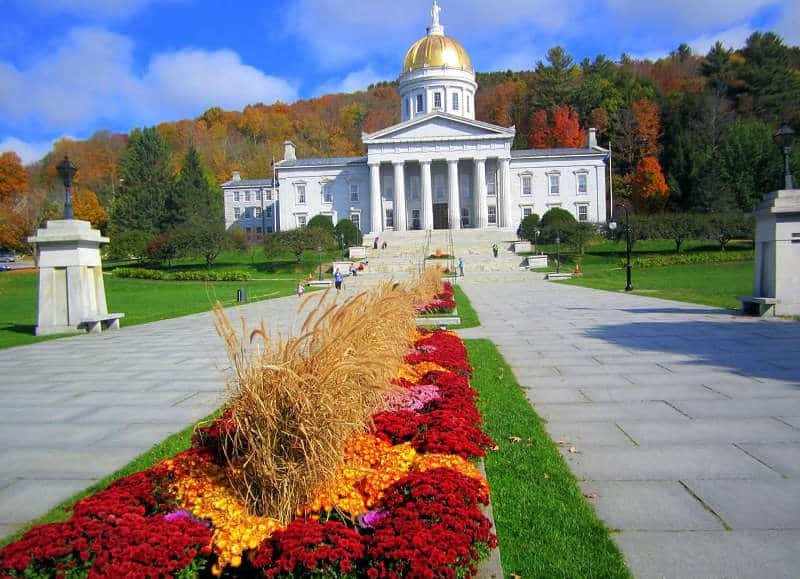 Day 4 begins with a full breakfast at the Casa Bella Inn, followed by a trip to Montpelier, Vermont’s capital city. There we will take a guided tour of the State House (one of the nation’s oldest and best preserved state capitols still in use), with a dedicated tour guide who will teach us some history and be available to answer questions. From there we will drive scenic VT RT 100 to the Village of Warren. 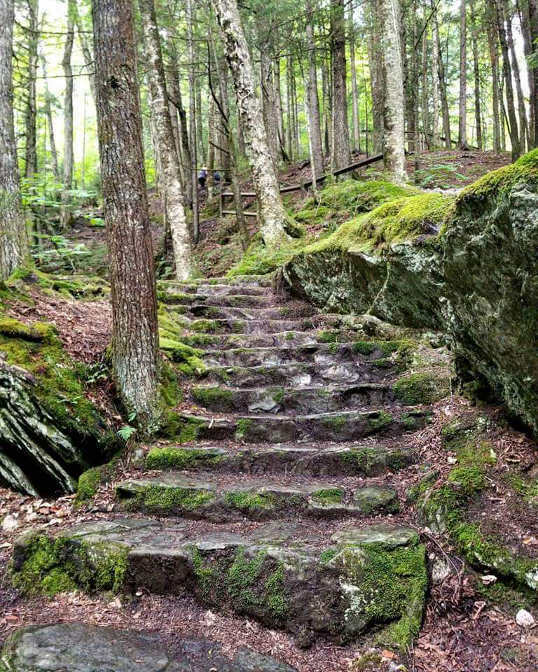 Two of the most popular natural attractions in this area are stunning views from the top of Appalachian Gap, and Moss Glen Falls (one of Vermont’s most photogenic waterfalls). Lunch is available for purchase at the Warren Store, a uniquely Vermont experience with great local food. The Warren Store features its own deli, bakery, wine shop, and gift store. It is situated on the Mad River, which makes for some truly relaxing scenery. The Warren Covered Bridge (which is within walking distance from the store) crosses the Mad River and is listed on the National Register of Historic Places. At the end of the day, a three-course dinner will once again be served back at the Casa Bella Inn. Our final day of the tour begins with a full breakfast, followed by check-out from the Casa Bella Inn. 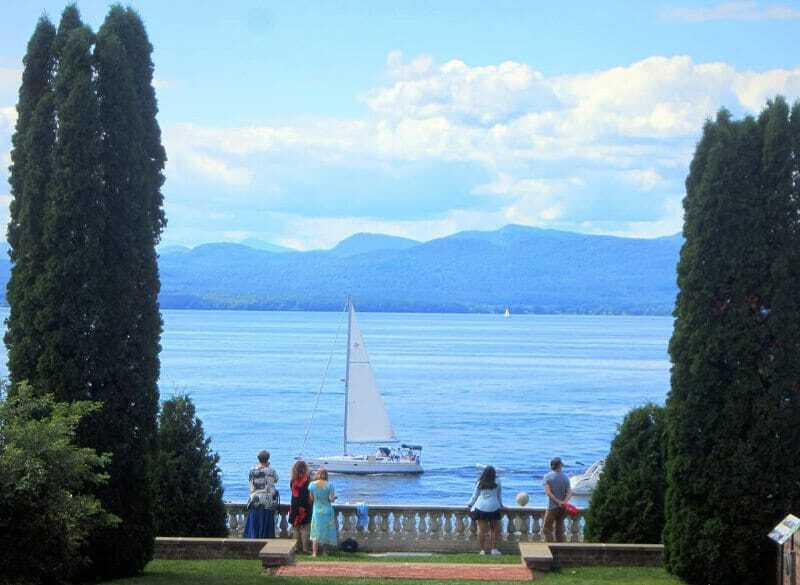 We will then travel North to Shelburne, Vermont, for a visit to two locations: Shelburne Museum and Shelburne Farms. 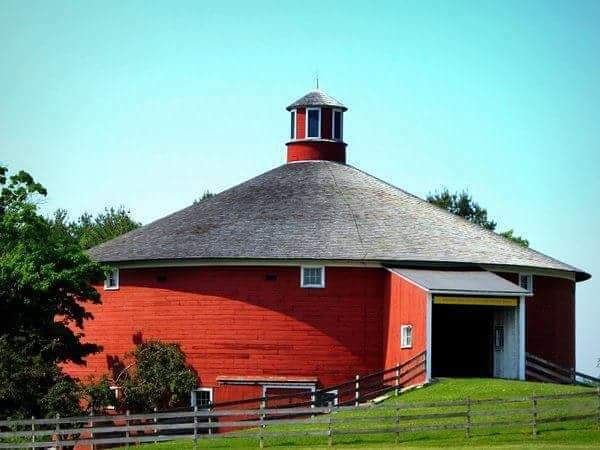 Shelburne Museum features 39 buildings on 40 acres and over 150,000 works of art, including paintings, antiques, textiles, antique tools, and more. 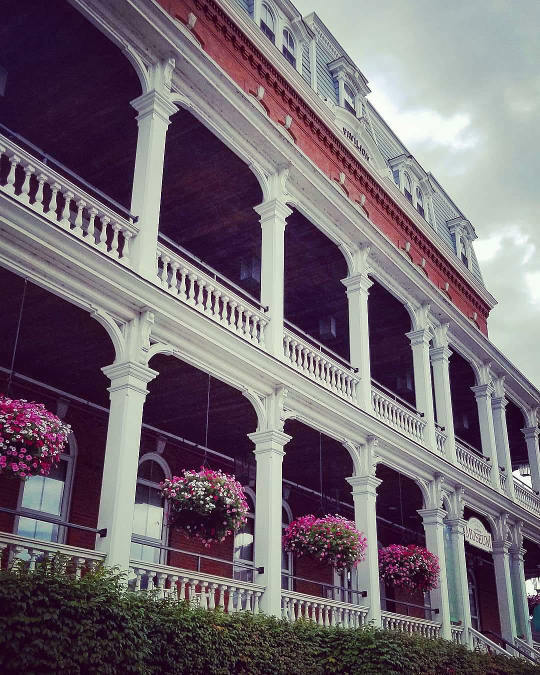 One of our favorite attractions there is the Steamboat Ticonderoga, a 220-foot National Historic Landmark that portrays life on the ship as it was in 1923. A tour through Shelburne Museum is self-guided; you will have plenty time to explore the exhibits at your own pace. Lunch is available for purchase on the premises. Later, at Shelburne Farms, we will spend time exploring the gift shop and sampling Vermont cheeses and other products. We will then be treated to a guided property tour (in a covered tractor-pulled wagon), visiting the farm barn, coach barn, Inn, and cheese factory. Our tour will conclude at the end of the day with drop-off (Friday 5:00 PM) at your hotel or the Burlington International Airport. 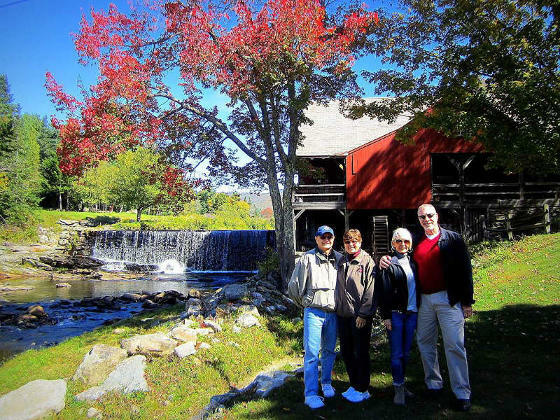 A personalised experience of Vermont like no other! A must-do!